Edgar Allen Poe is seen today as one of the greatest practitioners of gothic and detective fiction that ever lived, and popular culture is replete with references to him. 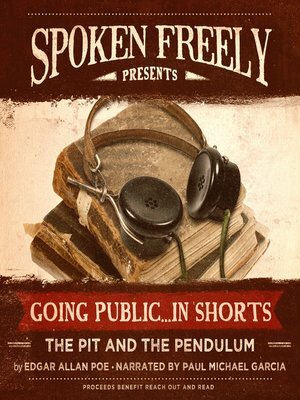 In "The Pit and the Pendulum," one of his most famous short works, a condemned man is judged guilty by the Spanish Inquisition and sentenced to die. Locked away in a pitch-black cell, he soon discovers a pit in the center of the room, a watery grave at its base. Above him hangs a large, razor-sharp pendulum. As the man is slowly tortured, he must face either the pit or the pendulum. Edgar Allan Poe (1809–1848) transformed the American literary landscape with his innovations in the short story genre and his haunting lyrical poetry, and he is credited with inventing American gothic horror and detective fiction.